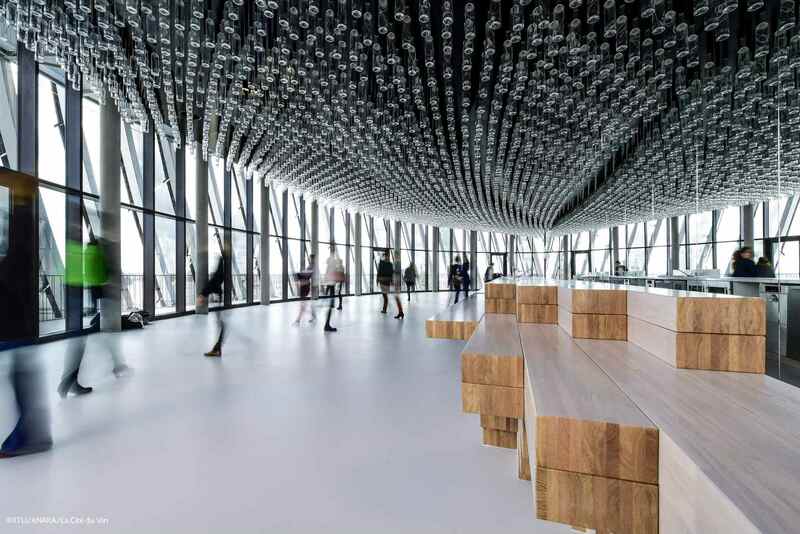 Visitors are encouraged to move through each space with an electronic “travel companion” as their guide, ultimately climbing 35 feet to enjoy a wine tasting and 360-degree view of the city. Stops along the way include a tour of the world’s terroirs, a simulated boat ride on the high seas and a chance to see actors portray some of history’s most famous wine lovers, from Voltaire to Churchill. 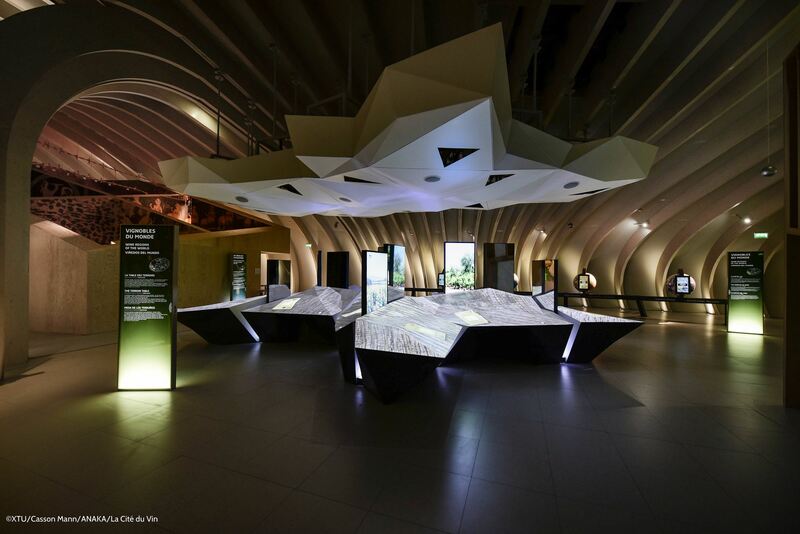 While the exhibits inside La Cité du Vin are impressive, just as much thought went into building its exterior. 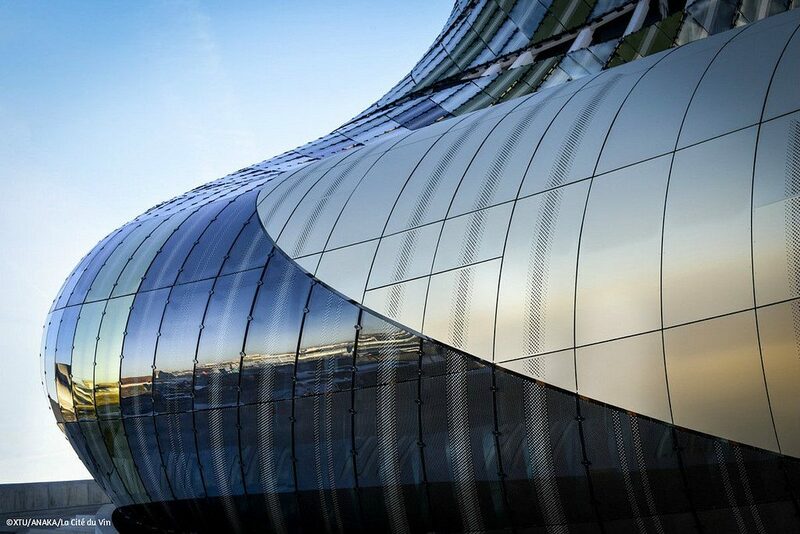 Created by architects Anouk Legendre and Nicolas Desmazières of XTU architects in Paris, the 10-story structure is intended to represent wine swirling in a glass and the movement of the Garonne, a nearby river. It is also meant to evoke the coil of a grapevine. The building’s shimmering facade is made up silk-screen-printed glass panels and perforated, iridescent, lacquered aluminum panels. Together, they reflect the river and surrounding area, allowing La Cité du Vin to remain in constant interaction with its environment. 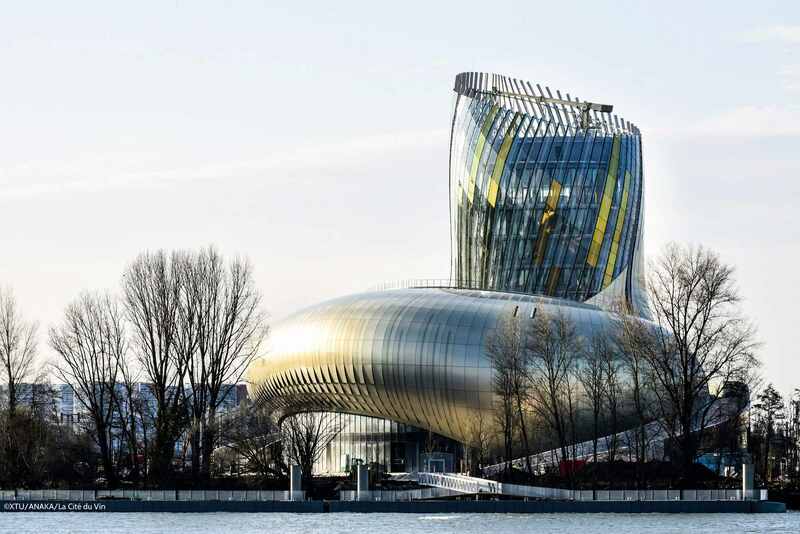 La Cité du Vin officially opened on June 1, and tickets are available for purchase online for around $23. It’s expected to attract 450,000 visitors a year, and if you end up going, we’d love to hear about it. We promise we won’t be too jealous.